LUXEMBOURG -- European creditors on Thursday approved giving Greece $9.5 billion in bailout cash to meet a big summer repayment and promised that the burden of the country's future debt repayments would be eased. After a meeting in Luxembourg of eurozone finance ministers, the International Monetary Fund also agreed to provide a stand-by financial arrangement for Greece which is conditional on the debt relief to be offered Athens at the conclusion of its bailout program next year. Jeroen Dijsselbloem, the eurozone's top official, said agreement Thursday on support for Greece had been forged "on all elements" -- money, debt relief and IMF involvement. Most importantly for the near-term, Dijsselbloem said Greece has been cleared to get 8.5 billion euros ($9.5 billion) after the Greek government delivered on a wide array of economic reforms required by creditors to get the bailout funds. The money means Greece can meet the full extent of its repayments that are due in July. 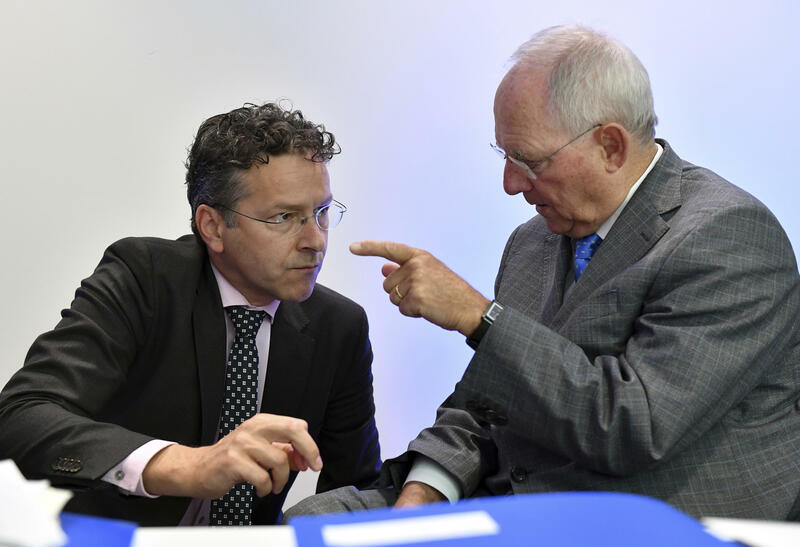 For the longer-term, Dijsselbloem said the 19-nation eurozone had agreed that Greece would get help on making its debts more sustainable, including the possibility of extending repayments by 15 years and linking repayments to Greece's growth. Under the terms of its 2015 bailout deal, Greece's European creditors had promised to provide cash and find a way to lighten the country's long-term debt load -- as long as the government kept a lid on spending and deeply reformed the Greek economy. Despite years of austerity since Greece was first bailed out in 2010, the country's debt burden still stands at about 320 billion euros ($360 billion), or around 180 percent of annual gross domestic product. That's largely because the Greek economy has contracted by around a quarter, meaning a worsening in the debt load even as the country's budget has improved markedly. An outright cut in Greece's debt is not allowed under euro rules, but the length of time the country has in paying back its debts can be extended, and the interest rates on those debts can be cut. For Greece, that would limit the amount it has to pay out on debt servicing each year, money it can use to help the Greek economy and society. One of the reasons why Greece's bailout program has stalled over the past few months has been a disagreement between the eurozone and the International Monetary Fund on debt relief. The IMF, which contributed financially to Greece's first two bailouts but not the third, has wanted more information about what debt relief Greece may get before it gets more involved in the current program. Thursday's compromise agreement with IMF shows that the disagreement has yet to be fully dealt with. However, Christine Lagarde, the IMF's managing director, said enough progress had been made at Thursday's meeting for her to go to the executive board to get the stand-by facility, which will be less than $2 billion. "I think there is a very strong focus on growth and that's a strong change of attitude and tone," she said. The Greek government, whose popularity has fallen sharply as it imposed more austerity measures, faced more criticism Thursday when more than 2,000 older protesters marched through Athens to demonstrate against pension cuts. "We can't live on 300 euros ($334)!" they chanted, with some waving sticks.